Meet my babies! I’ve had Blaze since he was about 5 weeks old (he was born December 3, 2008). He’s been blessing my life with absolute love ever since! 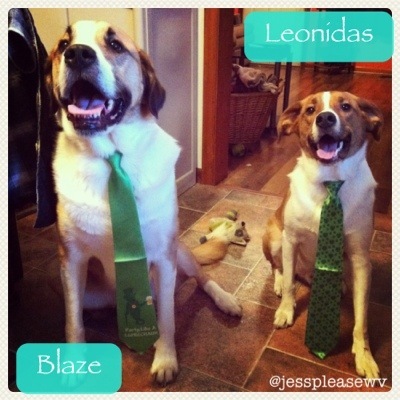 Leonidas stole my heart in April 2012 (the shelter wasn’t sure of his age but they had a guess so I chose February 1st as his birthday) & I had to get him because he looked SO much like Blaze. Leonidas is definitely a goofball but I can always count on him to make me laugh with that silly grin of his.